Complementary therapies are healing practices, performed in addition to standard treatments, with the goal of improving quality of life. My previous blog on art therapy and its use in Parkinson’s disease (PD) introduced the concept of complementary therapies. Today, I will discuss complementary therapies more generally and also concentrate on music, dance and singing therapies that are used for PD. As I have mentioned, some of the complementary therapies that are in use for PD include exercise/movement therapies such as boxing, yoga, and Tai chi, mindfulness techniques such as meditation, manual practices such as acupuncture and massage, and creative pursuits such as singing, music therapy, dance therapy, theater and art therapy. Most of these complementary therapies have been formally studied in PD patients in some manner, although usually only in small groups of people. Don’t see your therapy of choice mentioned? Don’t worry – the above list is not meant to be comprehensive and does not include every complementary therapy which has been studied in PD patients. However, it is also necessary to point out that there are many types of complementary treatments marketed to people with PD with no data supporting their use at all. Therefore, before you start any complementary therapy, please discuss it with your neurologist. It is wise to stick with a therapy that has at least some data supporting its use in PD. Always avoid therapies that claim to “cure” PD, as none have been proven to do so and these are false claims. Music therapy – this is a therapy defined broadly by the American Music Therapy Association as “a treatment including creating, singing, moving to, and/or listening to music [through which] clients’ abilities are strengthened and transferred to other areas of their lives.” Music therapy may have a role in helping those with PD. One particular technique is known as rhythmic auditory cueing, in which rhythm is used to facilitate movement and improve gait. People with PD often note that moving or walking to a rhythm helps improve their movement and employing rhythm to help people with PD is frequently used by PD rehabilitation experts. Music is a great way to provide that rhythm. Providing exercise – Dance can be a source of aerobic exercise and provides a fun way to increase a person’s fitness level. Working on balance and coordination. Enhancing voice volume and quality – PD can cause hypophonia (low voice volume) and monotonous speech. Singing as therapy can improve these symptoms. 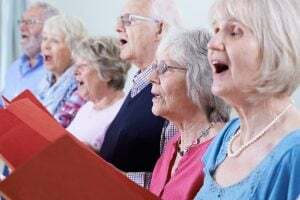 Improving respiration and swallowing – Some studies have shown that singing can also strengthen muscles responsible for swallowing and breathing. Providing avenues for socialization – Working with others to perform a dance or a song offers the opportunity for socialization and collaboration. Enhancing mood and/or cognitive function – Some studies support the ability of music-based therapies to improve mood and cognition. If you’re interested in finding a music-based therapy class or program in your area, APDA can help. Across the country, there are dance and movement programs as well as choirs and singing classes, all specially designed for people with PD. Contact your local APDA chapter or Information and Referral Center for resources near you. 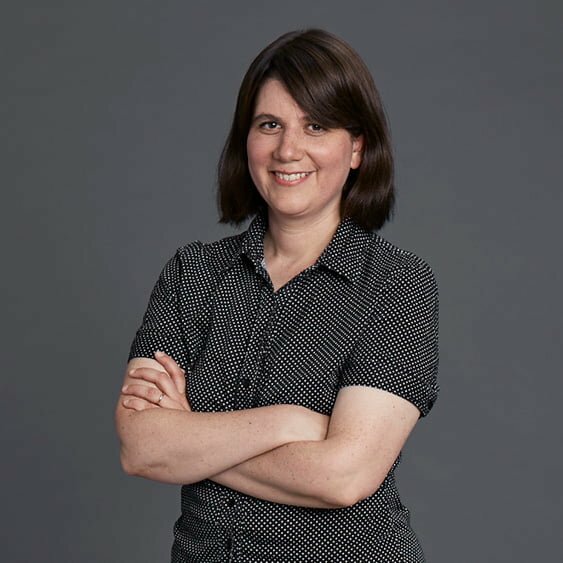 To give you just one example of a PD-specific complementary therapy, we can look to Pamela Quinn, whom you might recognize from our recent Public Service Announcement. Pamela is– a dancer by training, a person living with PD, and has created and choreographed unique Parkinson’s-specific dances to be performed by people with PD. They are whimsical and fun, and are designed to circumvent the movement challenges of people with PD. She offers dance and movement classes to people with PD to improve movement and maximize function. You can check out her approach on her website. There are so many incredible programs available, many hosted by our own APDA Chapters and I&R Centers – if you haven’t already participated in a music-based program, perhaps now is the time for you to give one a try! Just like they do for medications, clinical trials are also done for complementary therapies. Trials that test complementary therapies in PD can be conducted in a variety of ways, some more rigorous than others. Typically, patients are assessed for different outcome measures depending on the treatment. For example, a study of massage investigated the change in pain level as an outcome measure, whereas studies of acupuncture looked at changes in sleep and depression as outcome measures. The different types of treatments have not been compared to each other, so there is little way of knowing if one edges out the others in terms of effectiveness on any given measure. In general, however, these modalities are low-risk and typically demonstrate improvement in either a motor or a non-motor symptom. Additional research with larger and more rigorous trials is needed, but it is exciting to realize that there are many possible therapeutic avenues to explore. It is also important to note that complementary therapies are typically not covered by insurance, so they may be out of financial reach for many people with PD. Increased research demonstrating the efficacy of these modalities is the first step in convincing insurance providers that these services are worth covering. A variety of complementary therapies may have a role in improving quality of life in PD. Dance-based therapies for PD may help improve fluidity of movement and balance while providing aerobic activity. Song-based therapies for PD may improve voice quality, respiratory function and swallow function. Music-based complementary therapies can increase socialization and may have mood and cognitive-boosting benefits. Beware of any therapies claiming to “cure” PD. APDA can help you find a program or class in your area.